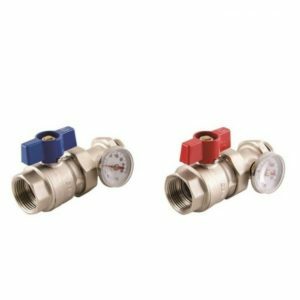 1″ Stainless steel manifolds for use on underfloor heating systems. 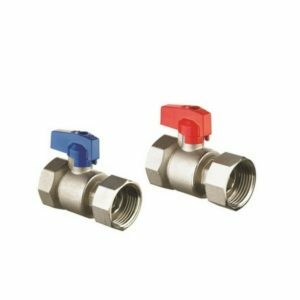 Available in 2-12 ports and complete with ball valves, drain/filling valves and air vents. 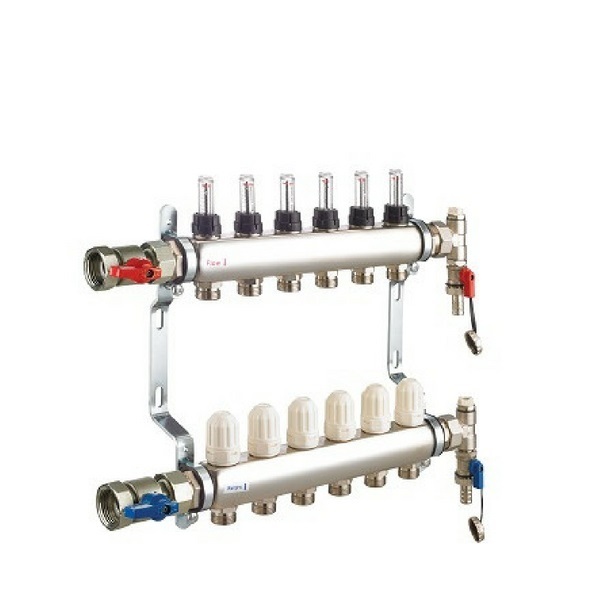 Stainless steel manifolds for use on underfloor heating systems. These consist of two manifold bars, one for the flow and one for the return, complete with ball valves, drain/filling valves and air vents. 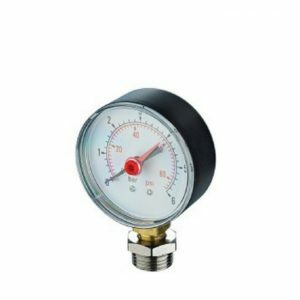 On the flow bar each port has a flow indicator, with isolator, including an easy-to-read gauge-glass. 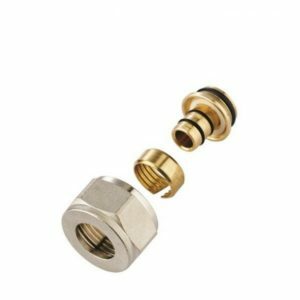 Each port on the return bar is equipped with an integral control valve and protection cap which allows the user to adjust the volume of water, or can be removed to accept a Manifold Thermoelectric Head.